High resolution HLA typing using current sequencing-based methods requires time consuming and expensive strategies to distinguish between ambiguous alleles or allele combinations. Next Generation Sequencing (NGS) approaches have been developed within the last few years that provide allele phase and unambiguous pairwise combinations of alleles. These technologies can reduce the cost of high resolution typing to that of commonly used low or medium-resolution methods while maintaining equivalent simplicity in methods and application. Scisco Genetics has developed a system using the Illumina Miseq system, which is based on a sequencing-by-synthesis approach utilizing fluorescently labeled reversible terminator nucleotides. 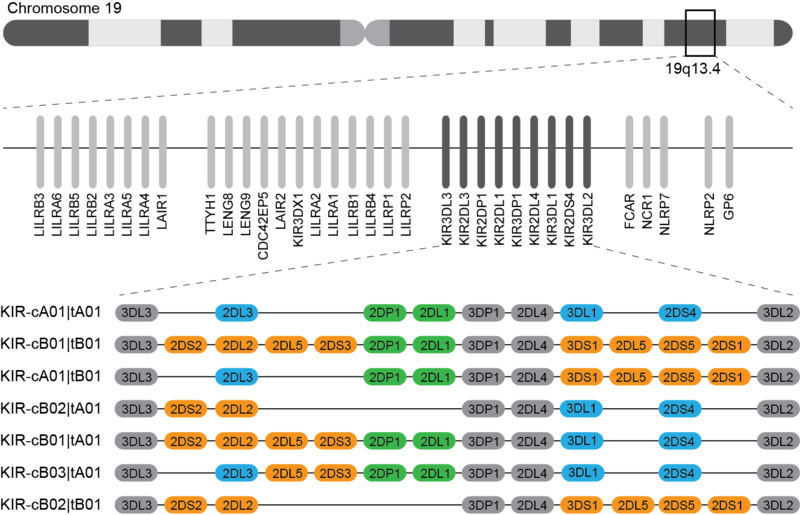 After assay specific amplification, samples are tagged with unique indexes and pooled together and applied to the MiSeq device where they are amplified as individual clusters and sequenced using universal sequencing primers. The result is several million reads that can be analyzed using Scisco Genetics software to report unambiguous HLA allele types and KIR haplotypes for scores to hundreds of individual samples simultaneously. The HLA complex, also commonly known as the human major histocompatibility complex (MHC), comprises a 4 Mb region on chromosome 6p21.3 that includes over 200 genes. Greater than 40% of these genes encode proteins involved in immune functions that play critical roles in defense against infectious disease and cancer and in susceptibility and resistance to autoimmune diseases. Certain highly polymorphic HLA genes function as histocompatibility barriers and are critical markers for donor-recipient matching in bone marrow transplantation. The HLA gene complex is subdivided into the class I, class II, and class III regions (Figure 1 below). The class I and II genes encode molecules that bind and present peptide fragments to T lymphocytes via the antigen binding groove of the mature HLA cell surface protein. Class I molecules are found on most cell types and present endogenous peptides derived from the intracellular environment of cancer cells, infected cells (viruses), or cells that are damaged in other ways. The bound peptide in the Class I molecules is presented to CD8+ T-cells, which kill the infected/ damaged cells. Class II molecules are mainly found on Antigen Presenting Cells and present antigen to CD4+ T helper cells. The Class II molecules sample the extracellular environment and thus present peptides, such as bacteria, derived from outside the cell. Both HLA Class I and Class II genes are fundamental to the body’s recognition of self and non-self. The class III region contains genes for cytokines and the components of the complement system that also play important roles in the immune response. The HLA complex is the most polymorphic region in the entire human genome with close to 18,000 different HLA alleles characterized thus far. The list continues to expand rapidly as increasing numbers of new alleles continue to be identified. For the most updated list visit the IMGT/HLA database. Specific HLA alleles are associated with susceptibility and resistance to autoimmune and infectious diseases. Disparity between donor and recipient HLA-A,-B,-C, DR, DQA, DQB and DPA and DPB alleles impacts outcome in both bone marrow and solid organ transplantation. Nomenclature of HLA alleles is set by the WHO Nomenclature Committee. HLA typing initially identified HLA cell surface antigen specificities through serological and cellular typing methods. With the advent of the polymerase chain reaction (PCR), DNA based HLA typing technology quickly developed and was widely implemented in clinical and research laboratories. 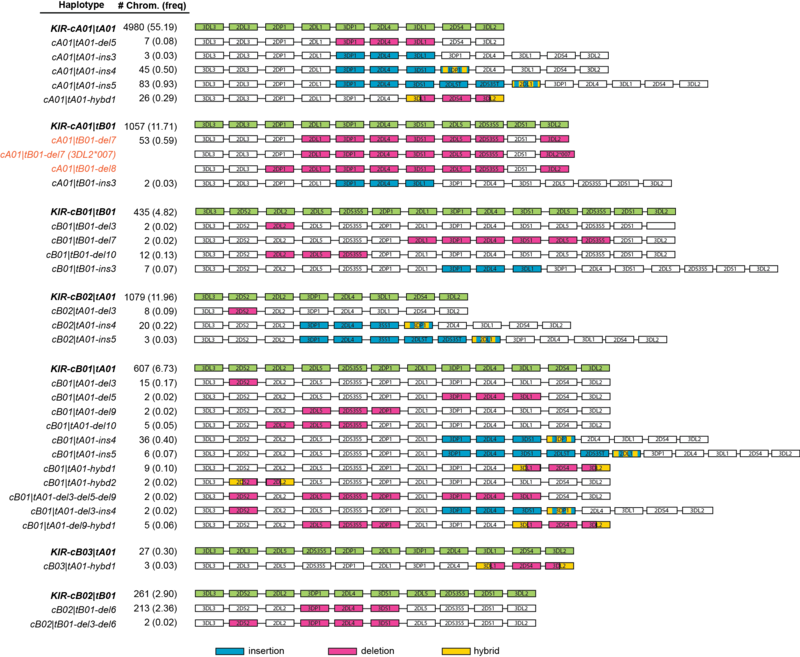 Early HLA DNA typing systems involved panels of sequence specific oligonucleotide primer pairs and panels of sequence specific oligonucleotide probes to assess specific polymorphisms and type for the alleles known at the time of the typing. DNA sequencing-based typing became the “gold standard” for high resolution HLA typing with the development of fluorescent-dye labeled sequencing of PCR amplicons using automated genetic analysis equipment coupled with HLA software analysis products. The widespread application of HLA DNA-based typing continues to reveal the extraordinary polymorphism of the HLA system, with a steady stream of sequences reported for new allele names (see the IMGT/HLA database). One result of the explosion in discovery of new HLA allele sequences has been the constantly increasing level of ambiguous typing results in heterozygous individuals. The characteristic sharing of polymorphic sequence cassettes among many HLA alleles frequently generates ambiguous typing due to an inability to assign the phase of the polymorphisms without separating the alleles. Laboratories that require high resolution typing, including those with current sequencing-based HLA typing systems, have had to develop complex, time-consuming and expensive strategies for separating the HLA allele sequences in heterozygous specimens. The advent of next generation sequencing technology obviates heterozygote ambiguities. NGS sequencing of individual PCR transcripts enables us to produce fully phased high resolution HLA-A, B, C, DRB1/3/4/5, DQA1, DQB1, DPA1 and DPB1 typing in a single pass typing system. KIR genes encode inhibitory receptors that reside on the surface of natural killer (NK) cell. NK cells are an important part of the innate immune system, responsible for defense against infected or cancer cells. The interaction of KIR receptors with HLA class I molecules regulates NK cell function by distinguishing between normal cells and infected or cancer cells. The KIR locus is located on chromosome 19q13.4 within the leukocyte receptor complex (LRC) and is highly variable with regard to both gene content and allelic polymorphism. KIR genes are organized into the major haplotype groups A and B based on gene content (see figure below). Haplotype A is constant in gene content, consisting of 5 inhibitory genes and 1 activating gene, while haplotype B contains a variable number of inhibitory and activating genes. A total of 15 human KIR genes and 2 pseudogenes have been identified, separated into centromeric and telomeric regions by the framework genes KIR3DP1 and KIR2DL4. Centromeric motifs can recombine freely with telomeric motifs, leading to a diverse number of haplotypes. Recently, we identified 7 major gene content haplotypes, each representing different combinations of 4 centromeric and 2 telomeric gene motifs. After examining a further 9,024 chromosomes, we identified 37 rare gene-content haplotypes that varied from the 7 major haplotypes by gene deletions, insertions, and hybridizations (shown in figure above). Scisco Genetics currently offers NGS kits with accompanying cloud based analysis software for HLA, Chimerism, and KIR. We also offer fast and affordable NGS services for HLA, Chimerism, KIR, MICAB, FCγ receptors, and more. © 2019 Scisco Genetics, Inc. All rights reserved.